The Scot gave a 17-year-old Giggs his Manchester United debut in 1991 and he starred in all 13 of Ferguson's Premier League title wins. "Now is the time to pray and hope he can make a full recovery," Giggs told BBC Wales. "He has been the biggest influence in my career, both on and off the pitch. "I know the operation has been a success - but he is a fighter and that is what makes me think that he will be able to make a recovery." 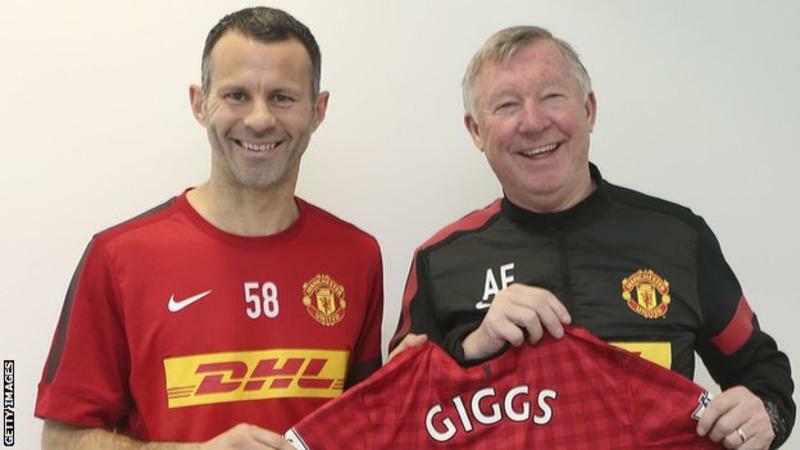 Giggs' sentiments were echoed by current Manchester United and England defender Phil Jones, who described Ferguson as being like a father figure to him. Jones was signed from Blackburn by Ferguson as a 19-year-old in June 2011 and was part of the Scot's final title-winning squad in 2013 before his retirement in May that year after winning 38 trophies during 26 years in charge. "He's taken me under his wing like a father and it was shocking," said Jones, 26, who has made 190 appearances for the Reds. "It's sad, but I know his character and I know he has that fight in him. "He is such a legend in my eyes. He is the one who brought me to the club and gave me that opportunity to play for one of the biggest clubs in the world. "He has got all his family and friends around him, the support from all the players and staff at Manchester United and football around the world. "When something like that does happen it's nice that the football world comes together and shows support and we are all rooting for him." A host of Premier League managers, including Arsenal's Arsene Wenger and Manchester City's Pep Guardiola, sent their good wishes over the weekend to Ferguson, the most successful manager in the history of the British game. Wenger, who is leaving the Gunners at the end of the season, described Ferguson as "an optimistic man" with Guardiola saying his thoughts were with Ferguson's wife Cathy and the rest of his family, including his son Darren, who is currently in charge of Doncaster Rovers. Jones' team-mate Juan Mata also sent his good wishes saying the news had had a "huge impact" on the club and called on United to use Ferguson's winning mentality for the remainder of the season. "He has been a unique and fundamental figure in the football world over the last few decades," said Mata who joined the club in January 2014. "I've never been coached by him, unfortunately, yet I know well his incomparable legacy on this club."